Getting Married? Looking to do something out of the box? 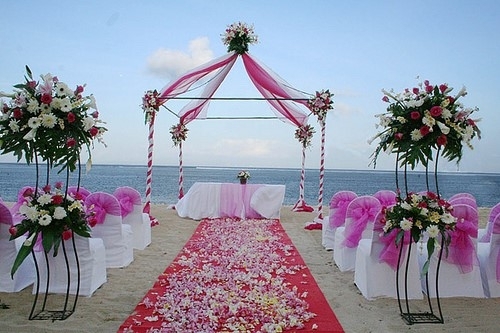 Choose an Island Beach Wedding! So you are getting married or have plans to, any time soon. That’s great news as a Wedding Planner let me tell you this is the most important day of your life and my goal is to make sure this will not to be your most stressful day. If you are planning to get married and want to do it quite uniquely and out of the box and are confused on the location, don’t worry we have a great plan for you. I have coordinated indoor, our door & even on the go marriages, my favorite pick however is a beach marriage. Beach weddings are awesomely perfect because it does almost the impossible thing; it relaxes you while you’re taking one of the most important steps in your life! These are just several reasons for you to get married on the beach. For me, I just love the colors of the ocean, the sound of the waves & the rays of natural lights, which creates a perfect backdrop and atmosphere. In my tours across the Caribbean I have chosen Grand Cayman as the perfect place to manage weddings & events and I would strongly recommend a Cayman Island Beach Wedding. So what are you waiting for? Lets get going today; call me or email me to get started!